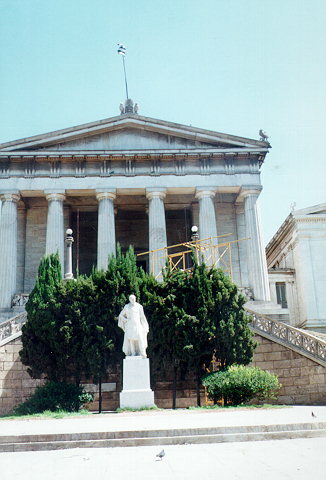 The National Library forms part of the so-called "Neoclassical Trilogy" of the City of Athens: Academy - University - Library. It consists of three solid parts, out of which the one in the middle -which is also the biggest- houses the Reading-Room. To enter this part, one has to pass through a Doric-style row of columns (designed after the Temple of Hephaestus in the Ancient Agora of Thission, which served as its model), after climbing on a monumental curved double staircase of a Renascence style. 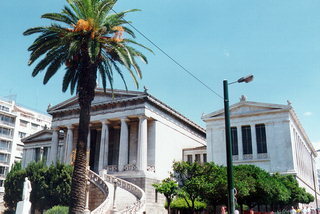 The Reading-Room, surrounded by Ionian-style columns, is covered by a glass ceiling. The cast-iron constructions of the bookstands were referred to as exceptional back in their time. 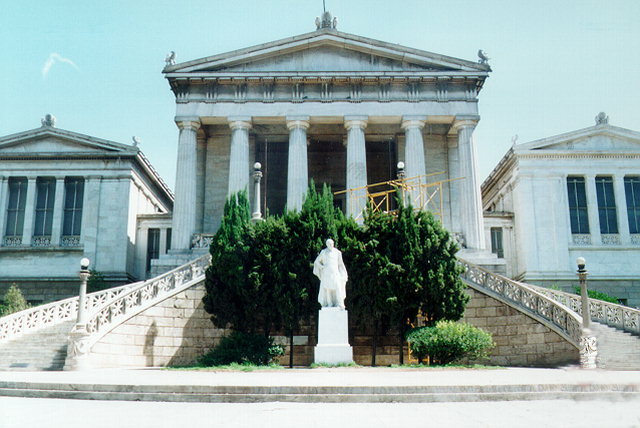 In general, the building is considered to be a characteristic sample of mature Neoclassicism.